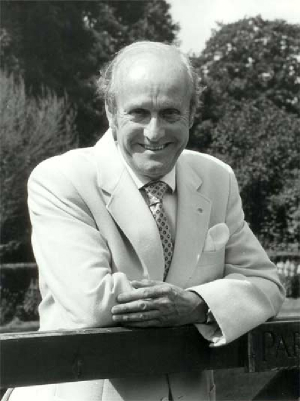 Douglas Cursley was born on the 10th October 1921 at 26 Sladeford Road, Aston, Birmingham. His father Samuel was described as Timber Merchants Manager on Douglas's birth certificate. 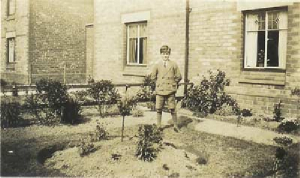 At some point a move was made to Ellesmere Port, Cheshire, where Douglas attended the Cambridge Road Council School followed by the William Stockton Modern School at age 11+. He left school on the 18th October 1935 with the following comment from his headmaster. "He is a cheerful worker, and his character and conduct are excellent. I feel sure that he will do his utmost to render satisfactory service wherever he is employed". 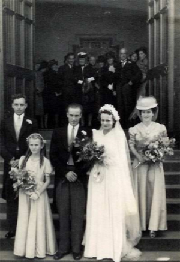 He started his long Local Government career in 1936 as a clerk with Ellesmere Port Urban District Council. War was looming and and Douglas joined the R.A.F. 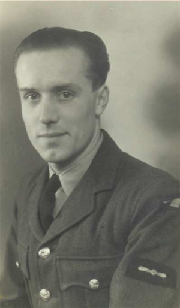 Voluntary Reserve as a Leading Aircraftsman, serving as a technician with Bomber Command. 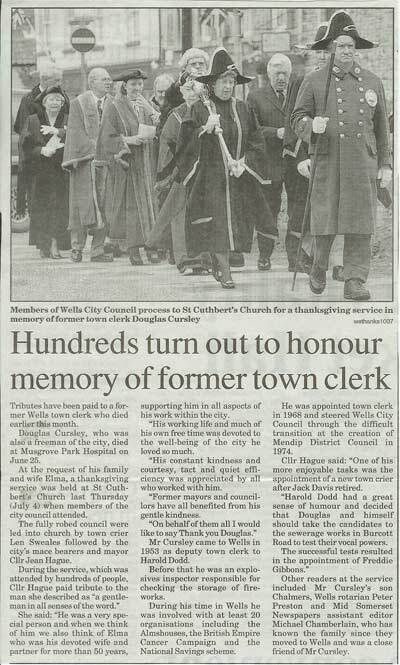 After a short period with Bacup Corporation the family moved to Wells, Somerset, where Douglas commenced employment with Wells City Council in 1952 as a Committee Clerk under the leadership of Town Clerk Harold Dodd. He progressed his career via Deputy Town Clerk to being appointed Town Clerk in 1968 and steered the City Council through the transition at the creation of the Mendip District Council in 1974. He fought very hard to ensure that Wells maintained the status of a City and was rewarded by the City receiving a new Charter from our present Queen Elizabeth. The Charter was the last of many dating from King John in 1201 and was presented to the City by the Duke and Duchess of Kent on March 17th 1974. At the creation of Mendip District Council Douglas's role changed to that of Town Clerk to the City of Wells Parish Council, he then took additional employment as the Superintendant Registrar for the Mendip area, finally retiring at the age of 70 in 1991, having completed 50 years of Local Government service. During his working life in Wells Douglas was very involved in the local community, serving as a member, secretary or chairman of many local associations and clubs including the Church of England Mens Society, The British Empire Cancer Campaign, The City of Wells Boys Club, The City of Wells Army Cadet Force, Wells Chamber of Commerce, The National Association of Local Government Officers, The local National Savings Committee and Wells Rotary Club serving as President. 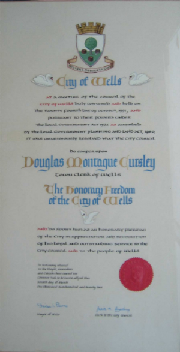 Upon retirement the Mayor, Aldermen and Councillors of the City appointed Douglas an Honorary Freeman in March 1992. 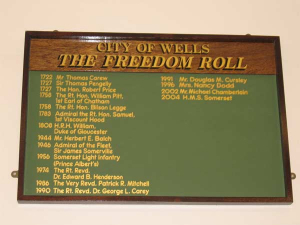 The Freedom Roll commenced in 1722 and contains many illustrious names.